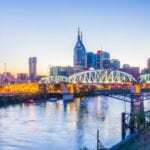 NASHVILLE, TN — Starting in fall 2017, prospective law students can pursue a dual JD/MBA degree at Belmont University in Nashville. 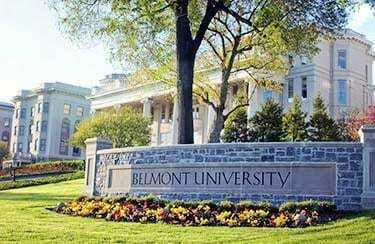 Belmont’s innovative program will allow students to complete all requirements for both degrees within three years, while enjoying Belmont’s signature personal interaction from experienced, highly regarded faculty. Moreover, students can complete the dual degree program at a reduced tuition rate compared to completing the programs separately. With the new offering, Belmont University joins Vanderbilt University as one of only two programs in Middle Tennessee to offer joint JD/MBA degree options while simultaneously holding accredited status with the American Bar Association and AACSB International. Prospective JD/MBA students would also be hard-pressed to find a better program. Belmont Law boasts high first-time-taker pass rates on the Bar Exam annually in addition to a low 12:1 student-to-faculty ratio. Meanwhile, Belmont’s MBA program is consistently lauded by both Princeton Review and Bloomberg BusinessWeek, the latter of which ranks Belmont’s Part-Time MBA as the top program in the state. In fact, in its recent report BusinessWeek noted that Belmont’s “faculty experts, innovative courses and small class sizes, as well as dynamic internship, service and study abroad opportunities combine to provide an exceptional learning experience.” Combine those accolades with the location in Nashville—and it’s difficult to imagine a better fit. Applicants to the dual JD/MBA degree must meet the requirements for both the JD and MBA programs. Prospective JD/MBA students should visit the dual-degree program’s information web page for specific application instructions, curriculum information and admissions representative contact information. Email inquiries may be sent to law@belmont.edu. This is a competitive program so early applications are recommended.